The story of the halogen bulb begins over 100 years ago, when Thomas Edison invented the incandescent light bulb. Simple, elegant and cheap, it quickly became the standard way to turn electricity into light. In the design, a glass bulb encloses a small wire (called a filament) which glows when electricity is passed through it. The filament is made of tungsten, a strong and resilient metal that can take the high heat without falling apart. And, because there is no oxygen inside the glass, it doesn’t burn up. Halogen bulbs come in different shapes, sizes, and bases. Here’s a rundown of what to expect when using one. There is a catch with incandescent bulbs, however. Even though the filament doesn’t burn in the sense of catching on fire (If it does, you’ve got another problem on your hands!) due to the electricity being conducted, the extreme heat required for incandescence causes the bulb to undergo a form of evaporation. And this buildup results in making the filament gradually grow thinner and thinner. Soon enough, the evaporated tungsten ends up on the glass as a visible dark spot. After about 750 to 1000 hours of use, the filament eventually gets so thin that it breaks, which is what happens when your light bulb “burns out.” But, with the invention of the halogen bulb, there is a new solution to illuminate your space without some of the complications of incandescent bulbs. A halogen light bulb is a particular sort of incandescent bulb, with a few key differences from the standard design. Last two to three times longer than standard incandescent bulbs. Smaller in size than standard light bulbs. Capable of producing brighter light than standard incandescent designs. Let’s have a look at how halogen bulbs are able to offer these benefits . . . 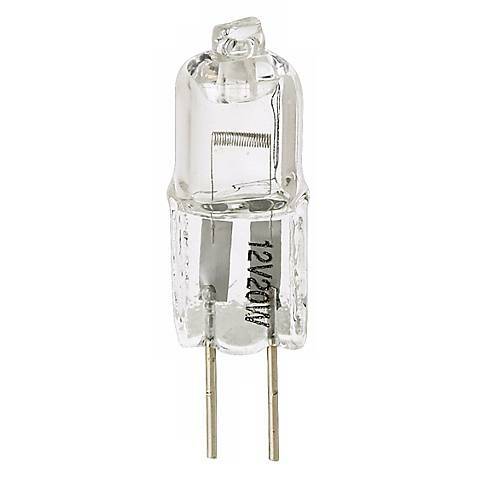 While a halogen also uses a tungsten filament, instead of a glass bulb, the filament is enshrouded in a smaller quartz “envelope.” Inside the quartz envelope is a halogen gas which has a special property: It is able to combine with tungsten vapor. At a high enough temperature, the evaporating tungsten combines with the halogen gas, which redeposits the tungsten onto the filament again. So essentially, a halogen light bulb has its own recycling program. 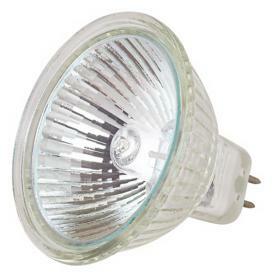 This enables a halogen light bulb to last two to three times longer than a regular incandescent light bulb. In addition, the quartz envelope can withstand much higher temperatures than glass, so a halogen light bulb can run hotter and therefore produce more light. An MR16 shape halogen bulb with a bi-pin base. 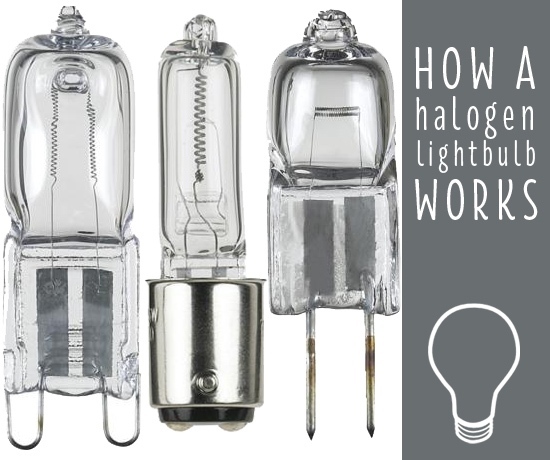 These advantages make halogens the bulb of choice for a wide range of applications, from kitchen and bath lighting to reading lights and desk lamps. While changing out a halogen is easy, there is a key rule to keep in mind from the moment you remove your bulb from the package that will ensure a longer lifespan from the beginning. Most importantly, remember that you should never touch a halogen light bulb with your bare hands. Sounds strange, doesn’t it? Well, there is actually good reason to avoid contact with the surface of the bulb. The oils on your fingers and skin can damage the quartz glass which creates a hot spot on the surface of the bulb when illuminated. The localized heat on the surface works just like oil in a pan, and these hot spots can weaken the bulb’s glass, allowing the essential gasses we explored earlier to leak out. Even worse, the compromised integrity of the bulb can allow for it to explode. Because of this, we always recommend that halogen bulbs never be handled by your bare hands. Use gloves or clean paper when holding the bulb so that you do not make immediate contact. Also, because these bulbs burn at a high temperature, make sure you let any bulbs you are replacing cool down before removing them.